The hype for The Dark Knight Rises was immense following its epic marketing campaign, focusing on Bane as the villain who brings Batman to his knees and the mere fact that this is the conclusion of such a major film trilogy. Set eight years after The Dark Knight, the film features Bruce Wayne returning as Batman following a depressing absence; a terrorist threat has arisen in the form of Bane and his armies, who lay siege to Gotham to cure it of sin. It's story is nicely complex with many strands as it moves forward, but sometimes things get a bit too farfetched - generating massive plot holes and conflicts in logic. 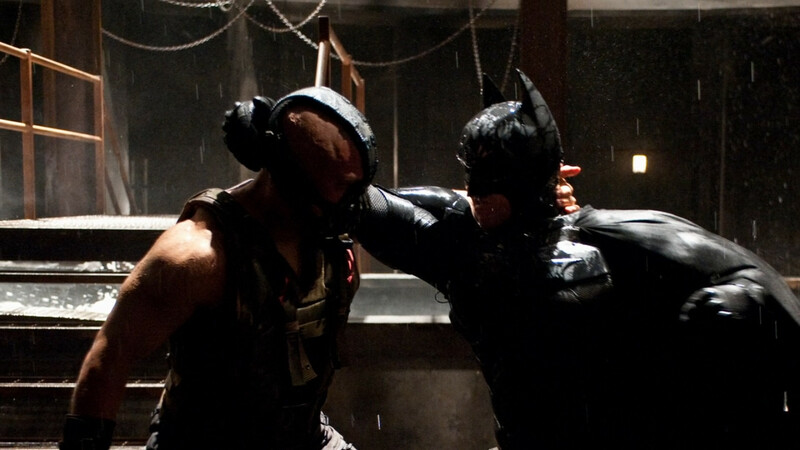 But with this aside, The Dark Knight Rises manages to transcend its slightly mediocre script with some exquisite cinematography and production design, not to mention some thrilling action scenes. It's an ambitious effort from a brilliant director, and with a lineup of fine performances from a fantastic cast, it makes for a great conclusion to this epic story arc. Batman Begins disposed of the campy silliness that plagued the string of Batman films before it, portraying the caped crusader as a wounded hero in a dark and intelligent storyline, driven by realism and human drama. The focus is more on Bruce Wayne than his alter ego - which works extremely well, keeping us engrossed in the story and not waiting impatiently for Batman himself to crop up. And when he does an hour or so into the film, the action and excitement only gets better. Remarkable production values make for visuals just as strong as the story; incredibly detailed sets of the Gotham slums built at Shepperton Studios as well as a creative blend of CGI and miniatures make everything feel nice and tangible. It's all wonderfully shot by Wally Pfister, and with a brilliant score by Hans Zimmer and top notch performances from a great cast, Batman Begins ends up being one of the most compelling superhero films ever, and the definition of a worthy franchise reboot. 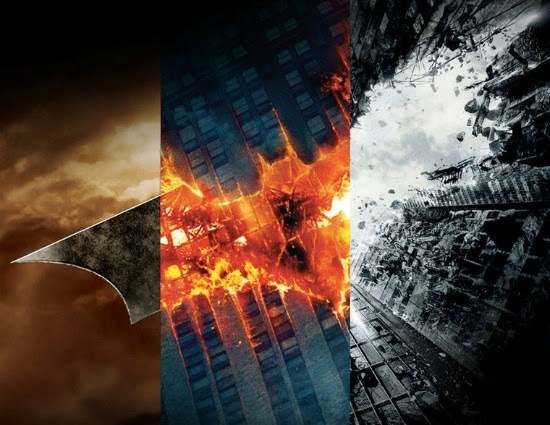 The Dark Knight ranks as one of the highest grossing films in North America and by extension of all time - its earnings of $1.004 billion were up over 200% from Begins' $373 million, something pinned down to the stellar reputation the latter had built up in the three year gap, as well as the buzz surrounding Heath Ledger's incredible performance as the Joker - one of Batman's most iconic foes. His untimely death garnered the film even more publicity, but at the end of the day, The Dark Knight is far from overhyped - and is easily one of the best superhero films in recent times. It succeeds as an action packed blockbuster but also as an engaging crime thriller, with a fantastic screenplay taking the story in a number of surprising directions and twists. This alongside naturally superb performances and stylishly dark visuals make The Dark Knight quite easily one of the best films ever made. Not nominated for a Best Picture Oscar...what nonsense.